When I first started my career in analytics, Data Analyst was declared the “Sexiest Job of the 21st Century.” Buzz around “big data” was on the rise as the most successful companies were increasing their investments in data and striving to foster data-driven cultures. This led to a high demand for data analysts and scientists who were needed to sift through that data in search of value. However, due to the lack of widespread data accessibility and transparency within companies, too often analyst work becomes frustrating and monotonous, consisting of one-off requests for stakeholders, data-validation, running similar queries over and over, and having co-workers compete for resources and prioritization. These inefficiencies keep companies from getting the most out of their analysts and make achieving the benefits of a data-driven culture more difficult. Hey there! I'm Kim, our VP of People & Culture. 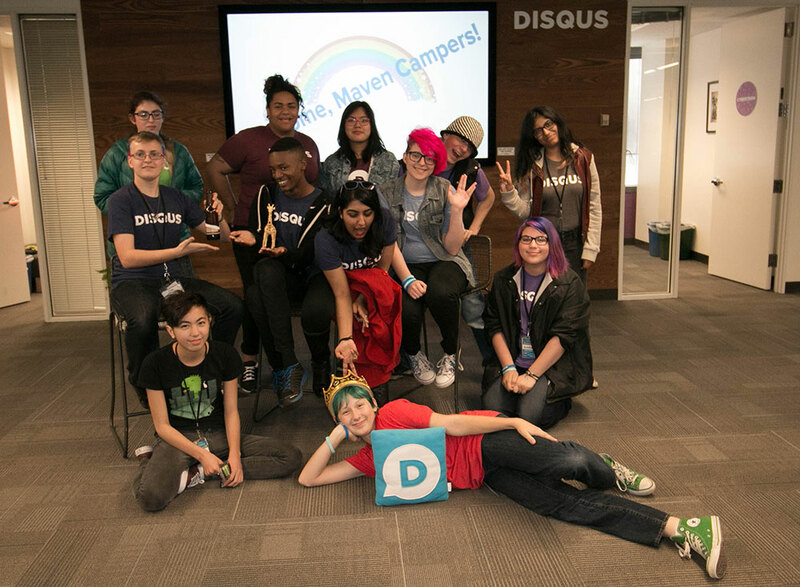 I run our people programs and build things to make life at Disqus better for our employees. 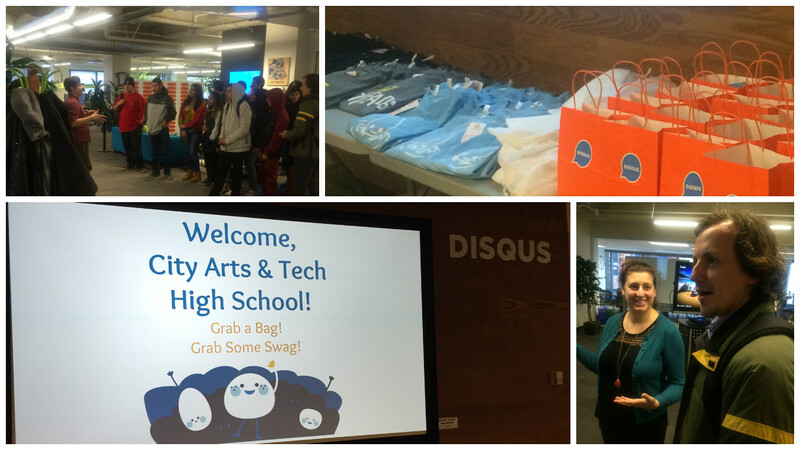 I wanted to share a peek inside these blue walls to show you what life is like at Disqus and how we're cultivating our internal company community! 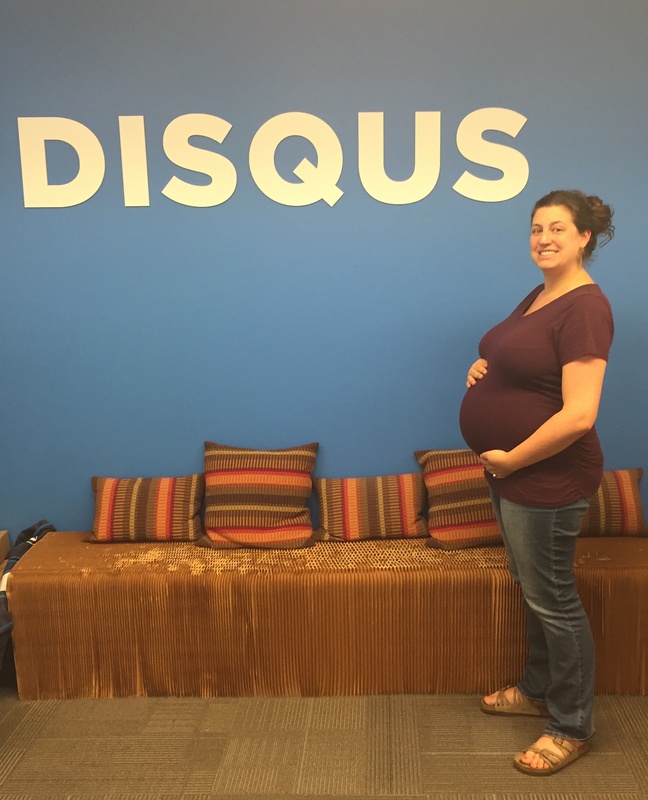 As Disqus has grown over the years, our company has changed. From the way we talk about our core values to the way we plan projects to the operational policies we create, we’re just not the same company at 50 employees that we were at 15! For the last six years, I’ve worked to create company policies that feel intuitive to the way we operate - natural (but official) extensions of the things we believe and the way we want to behave. After all, building a great community means investing in that community, and company policies are just a set of (sometimes legally-required) community guidelines! As the web’s community of communities, we pride ourselves on values that allow us to shift perspectives and share in diverse discussions. These values are an integral part of how we operate internally, and are key to the way we make decisions about our products, our business, and our company. 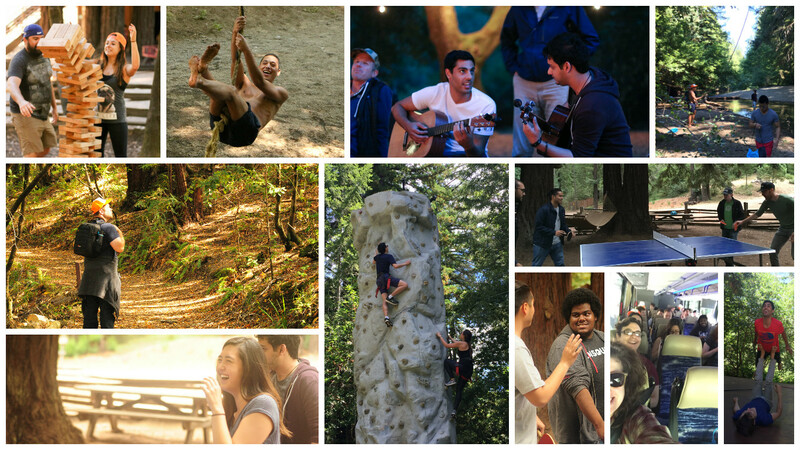 One of our core values is making an impact: we make an impact at work, online, and IRL as well. 2015, where did you go? Is it me, or does each year seem to go by faster and faster? It certainly went by in the blink of an eye for me. 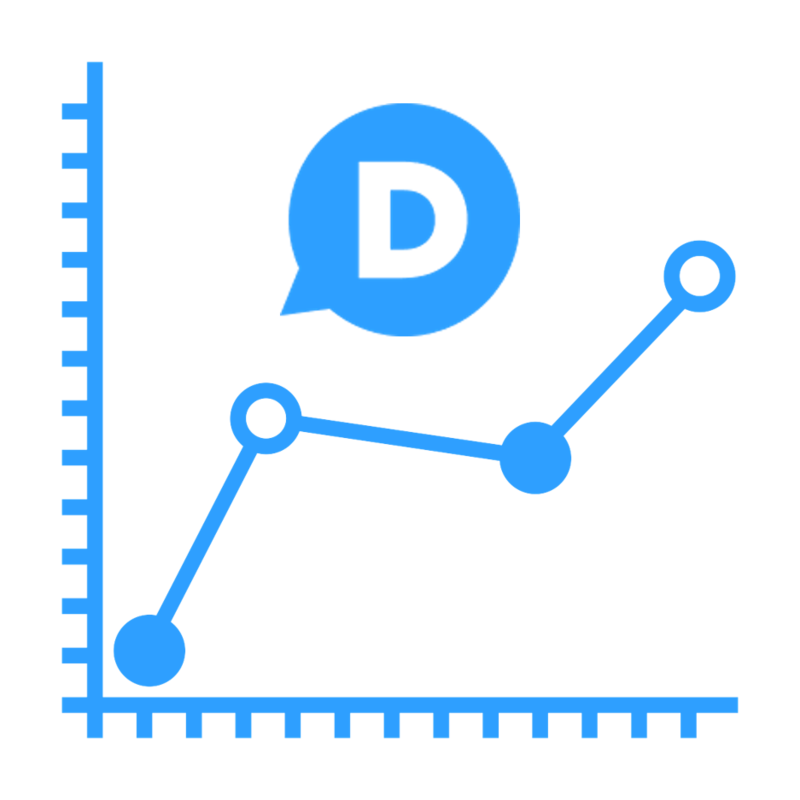 One interesting thing to note, is that Disqus’s Community Service Program has been going strong for 1 year! 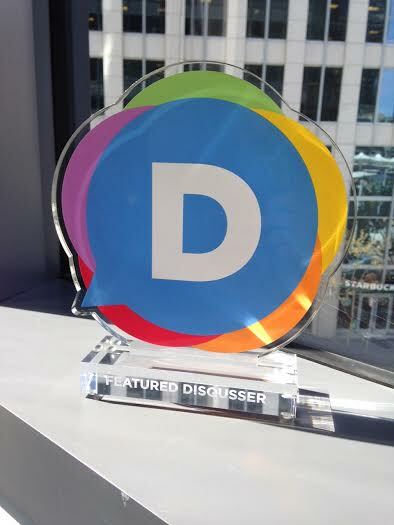 Go Disqus! 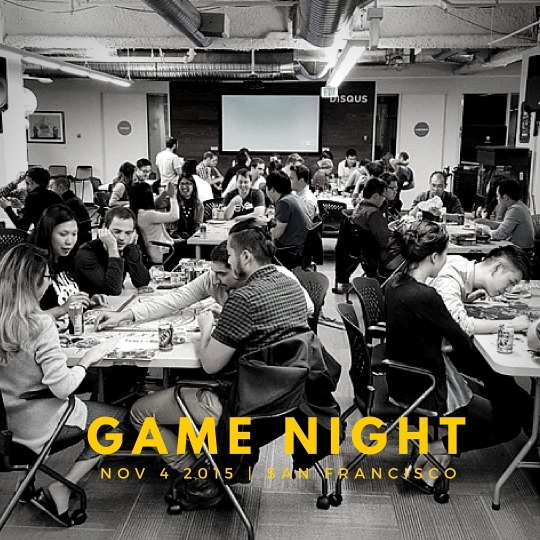 Last night at Disqus HQ, we hosted our fifth Game Night event. For those unfamiliar, Game Night is our quarterly board game event where we welcome folks for a night of board games, food, and drink. While we host an internal event for Disqussers every month, it’s the public events with the local community that I look forward to the most. 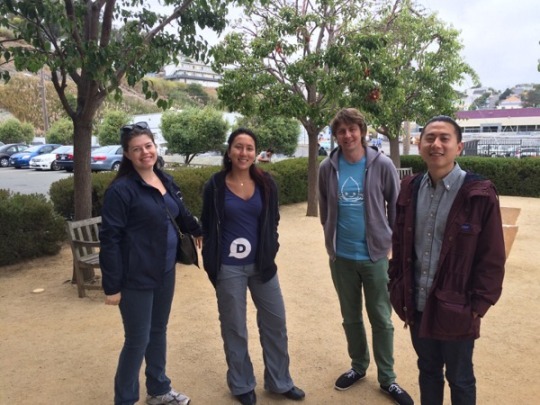 This past Friday, a few employees from Disqus and I volunteered our time to pack food boxes at the SF Marin Food Bank. 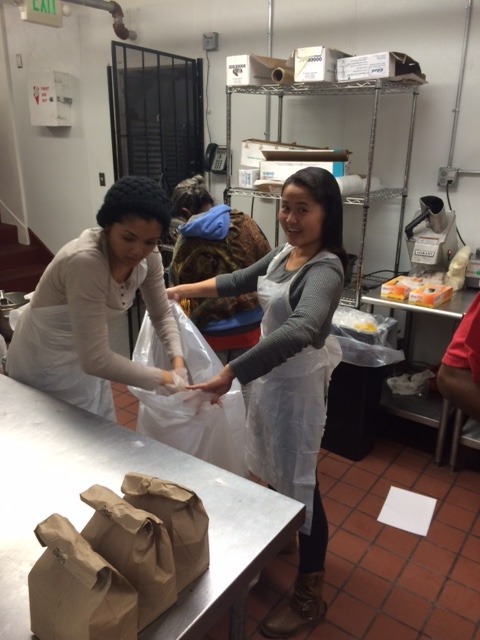 You may recall that a few Disqussers participated in a similar activity at the SF Marin Food Bank last December, but what was different this time around was that we partnered up with a group called Startups Give Back.